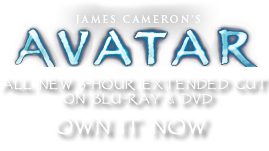 Pandoratonia myopora | Pandorapedia: The Official Guide to Pandora | Own AVATAR on Blu-ray & DVD Now! The hyneman on Pandora bears an eerie resemblance to the cobra lily found only in the northwestern USA. The presence of analogous features shared by these two specimens suggests that convergent evolution has occurred on these two distant bodies due to something identical in the environment. Botanists on Earth are still scratching their heads trying to unravel this biological mystery. The hyneman appears more highly evolved than its namesake, however, in that the tubular folded leaf is thigmonastic and able to move quickly when touched. Animals are lured into the enclosure by the fragrance of the flower hidden inside and the presence of water at the base, which has been pumped up from the roots. Unknown to the prey, the inside of the leaf is coated with necrotizing (flesh-eating) bacteria and other microbes that are unique to this species and can digest the captured prey into nutrients for the plant. The giant tubular leaves are large enough to trap a Na'vi or similar-sized creature. Both hexapede and viperwolves have been known to fall prey to the plant. On rare occasions, Na'vi, too, have been trapped by the creature, but are usually able to escape its grasp. Botanical Description Gigantic carnivorous plant with tubular leaves resembling a rearing cobra’s head, each with a large forked leaf that looks like fangs. Leaves are red with green highlights and have translucent spots allowing light inside the large enclosure. Ecology Animals enter the leaf through an open fold along the length of the tube, which senses their touch and rapidly closes. Bacteria and other organisms inside digest the animals, providing nutrition for themselves and the plant. Ethnobotany Dangerous, especially to Na'vi children, and usually avoided.